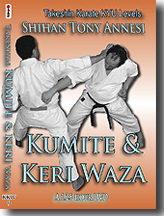 Standard Traditional Ippon Kumite (Embu Kumite) prepares one for a face-to-face street attack. What if the opponent does not attack face-to-face? What if he does not use a head-high lunge punch? 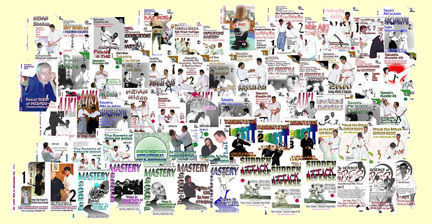 And, what does training in one-step sparring lead to if not freestyle sparring? 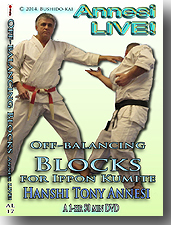 The Okinawan masters knew that one-step sparring was a way to apply basics learned in kata. 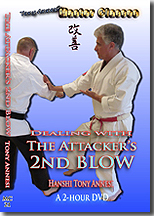 A variety of sparring drills help you react to unexpected attacks. 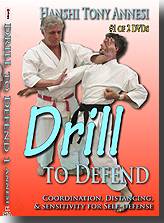 By learning a logical, incremental set of one-step drills, you prepare for real sudden attack. Few students or teachers realize the depth to which the one-step exercises can go. 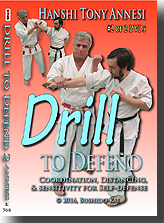 This 3-part video series starts with traditional practices, troubleshoots them, and gradually adds variations until unexpected but nonetheless realistic drills emerge: Touch-Pass, SAD (Sudden Attack Defense), and CAD (Combat Attack Defense.) 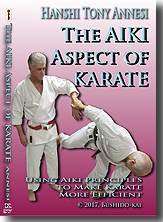 This video series allows you to bridge the gap between the old master's teachings and self-defense in today's world. 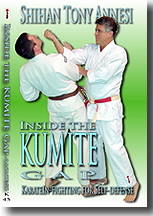 • Re: Traditional Ippon Kumite (1-step engagement), etc. 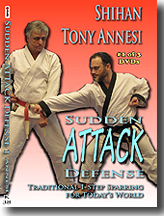 The book SUDDEN ATTACK DEFENSE in e-book or paperback format.